The hip joint is a weight bearing joint that can take a lot of abuse over the years. 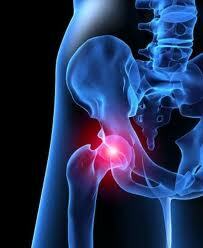 Faulty biomechanics from the feet can have a destructive effect on the hip joint. This is where custom orthotic inserts play a rol in preventing breakdown and treating hip pain. What is the most effective treatment for hip pain? What exercises & stretches do you recommend for hip pain? What other symptoms are most commonly associated with hip pain? What shoes are best for hip pain? Where can I get medical hardware for hip pain?